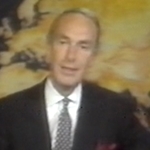 This weekend marks 35 years since Bruce Gyngell (pictured) announced “Good evening, and welcome to multicultural television,” on the opening night of Channel 0/28 — the network that is now SBS. 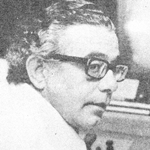 The birth of 0/28 and multicultural television came five years after the launch of ‘ethnic’ radio stations in Sydney and Melbourne that would eventually come under the control of the Special Broadcasting Service. 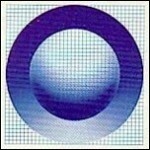 Like with the radio stations, Channel 0/28 was launched initially in Sydney and Melbourne and would roll out to other capital cities over later years. The path to multicultural television was not an easy one. 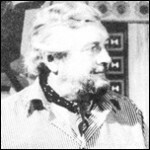 Prime Minister Malcolm Fraser promised ahead of the 1977 Federal Election that his government would launch a multicultural television service. There was debate as to whether or not the national broadcaster ABC should be tasked with operating the service as a second channel. It was even questioned whether or not the newly formed Special Broadcasting Service had the competency or structure to provide a television station as feedback from its initial planning and test broadcasts was less than positive. 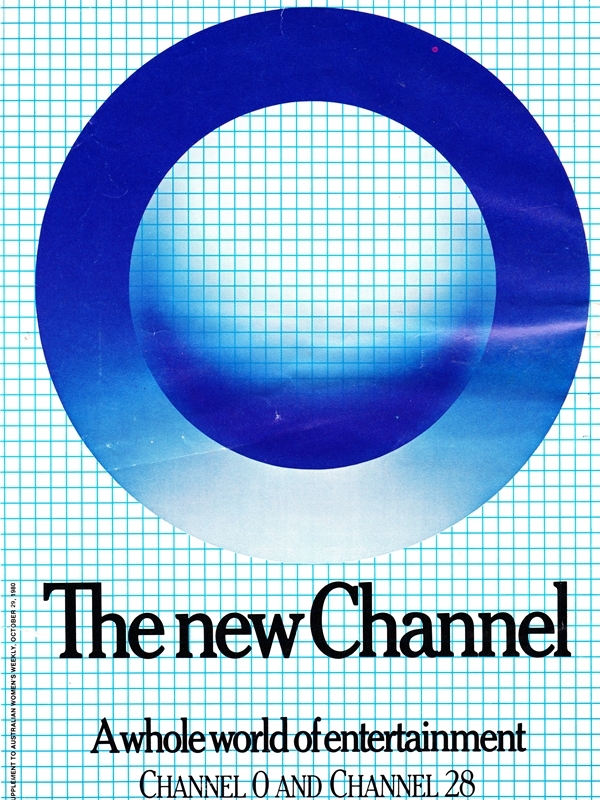 Plans to replace the Special Broadcasting Service with a separate authority, the Independent and Multicultural Broadcasting Corporation (IMBC), had the potential for the new channel to operate as a commercially-funded service — something which attracted criticism from not just the commercial networks but also from independent publishers, the latter fearing that the TV channel would take advertising dollars away from their foreign-language newspaper publications. Gyngell, the former chairman of the Australian Broadcasting Tribunal, was appointed managing director-designate of the IMBC and handed the task of leading the formation of the new channel, even though it was still unclear which authority would control it — the IMBC or SBS. The IMBC plan was ultimately knocked down by the Senate, leading the way for SBS to continue to operate multicultural radio and television services, and without carrying advertising. Despite the dumping of the IMBC proposal, Gyngell was retained as a senior consultant for SBS. 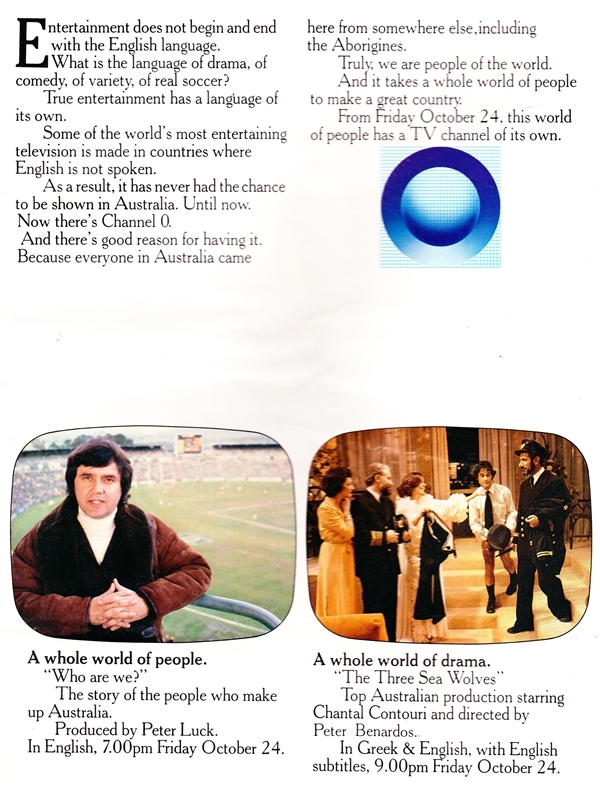 Friday 24 October 1980, and opening night for Channel 0/28 began with Gyngell, whose history with Australian television dates back to day one in 1956, presenting a half-hour preview of upcoming programs to appear on the new channel. 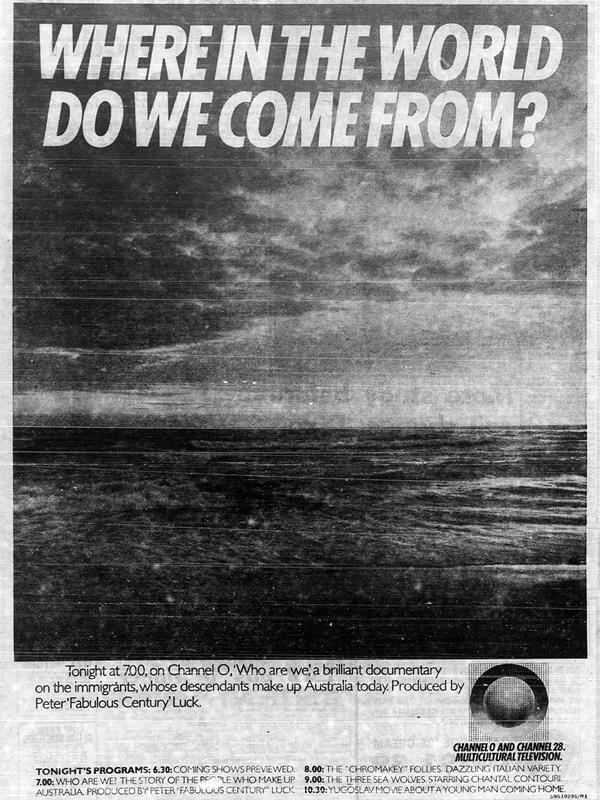 (Curiously, this preview was also screened in Canberra on commercial channel CTC7, even though 0/28 was at that time not planned for expansion into the national capital). Prime Minister Malcolm Fraser, who had been returned to government at the federal election barely a week prior, officially declared the channel open. 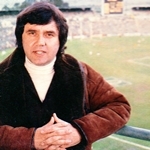 This was followed by the first program, a documentary, Who Are We?, taking a look at Australia’s multicultural identity, hosted by Peter Luck (pictured). 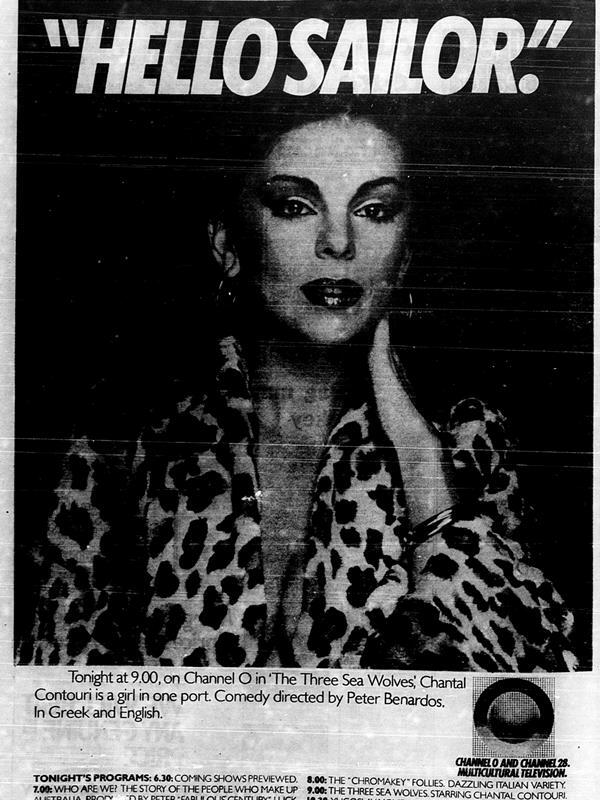 The first foreign-language program, Chromakey Follies, came from Italy, followed by telemovie The Three Sea Wolves, an Australian production starring Chantal Contouri (Number 96, The Sullivans) and featuring dialogue in both Greek and English. The night ended with a Yugoslav movie, Don’t Lean Out. 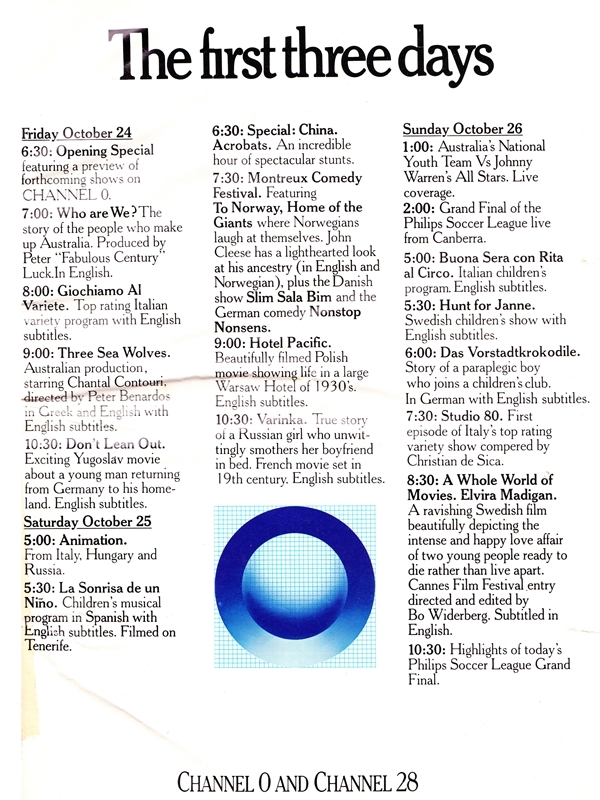 Over its first weekend, 0/28 featured cartoons and children’s programs from various European countries, comedies from Norway (including To Norway, Home Of The Giants, featuring John Cleese), Germany and Denmark, variety from China and Italy and films from Poland, France and Sweden. Sunday afternoon featured live coverage of the Grand Final of the Philips Soccer League from Canberra. The new channel was launched with an initial annual budget of $15 million, supplemented by a last-minute boost of $9 million to assist with local production. It was operating from a modest setup in two floors of an office building in the Sydney suburb of Milsons Point with a staff of around 100. Programming initially ran for around 35 hours a week, including movies, documentaries, drama, sport and variety shows sourced from around 15 countries — with all foreign-language material meticulously subtitled in English. The newly-launched World News with George Donikian screened weeknights at 9.30pm, and Joe Hasham hosted local variety show Cabaret. Fast-forward to last night(25/10/2015) and a schedule plagued with an excessive number of damned-stupid ads! A night’s viewing on SBS totally and irrevocably RUINED! SBS has wantonly abused its privilege… as that is what it is, a PRIVILEGE by running so many ads. It’s past time that privilege was permanently REVOKED! 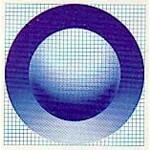 SBS is limited to only five minutes per hour of advertising, as opposed to the commercial networks who can have something like 3 times that amount. Legislation to have this limit increased to a maximum of 10 minutes per hour was knocked back by the Senate. 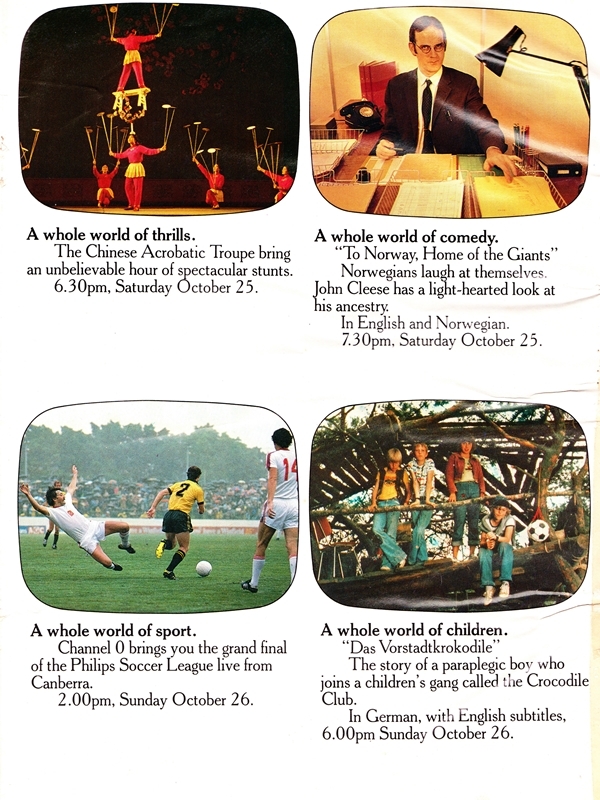 It is also worth noting that any money received by SBS from advertising goes directly back into program production. It’s not funding dividends to shareholders. I’m not a huge fan of advertising on SBS but I’d rather have ads on SBS then no SBS at all… and that’s the alternative at this stage. @Andrew B, 5 minutes per hour? It seems considerably more than that to me! Yes, I was indeed referring to the EXCESSIVE amount of advertising between AND during the programmes, totally ruining them! I don’t give a damn about when a show starts or finishes, SBS is running an excessive number of ads, DURING and BETWEEN programmes! This completely destroys the viewing on SBS. They should NEVER have been granted the privilege of running ads in the first place!